Burning in the achilles, unable to run, jump or wear shoes due to the rubbing of the achilles. 5) Avoid shoes that rub on that area. MRI will likely show degeneration, partial tears or chronic inflammation, value of such is questionable. Xrays are great for seeing the bony deformity that is causing this condition and surgical planning. Removing of any spurs as indicated. Repair of the Achilles back into the insertion. Below is an actual FFLC patient preop Xrays and clinical photos. What is looks like on Xray, Multiple issues to be addressed. 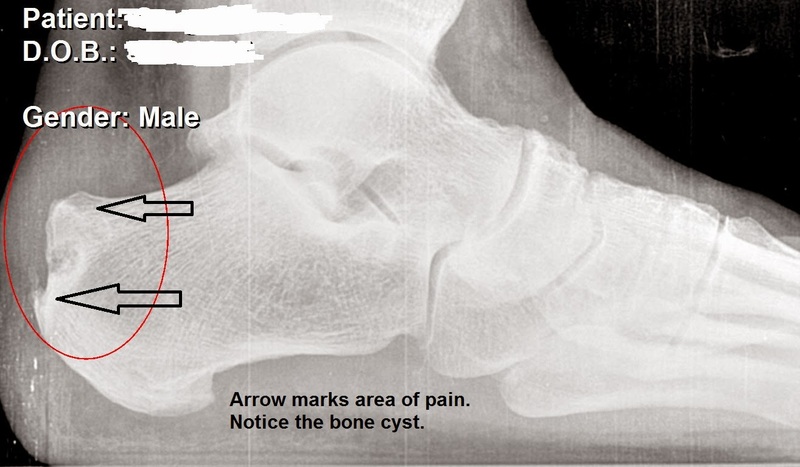 3) bone cyst / erosion from chronic inflammatory condition. 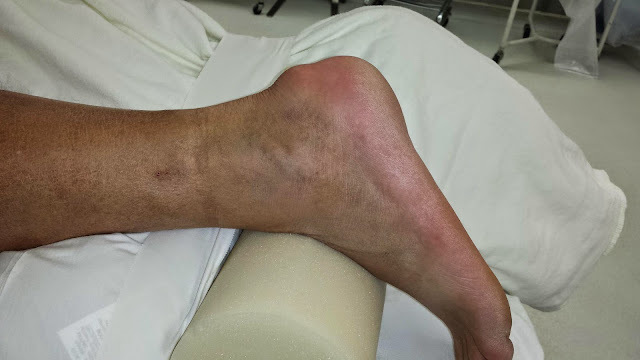 Patient is an active runner, pain immediately subsided after surgery. "Bump" no longer visible or irritated. 4 wks in a cast, then another 2 wks in a boot that he can remove to start range of motion excercises. Physical therapy and boot to be used for walking at 6 weeks. Tens unit can be used to help with the cast disease that develops from not using the limb for some time. Overall, this is a very simple surgery to correct the condition. Technique chosen by your surgeon varies. I personally prefers to keep the achilles attachment and remove the spurs from varying angles to avoid prolonged recovery. This also allows for anatomical repair without a question as to where mother nature intended. 239 430 3668 option 2 for scheduling or you can request online through our PATIENT PORTAL.